The IF in Life | Rashad Jennings | Audiobook Download - Christian audiobooks. Try us free. 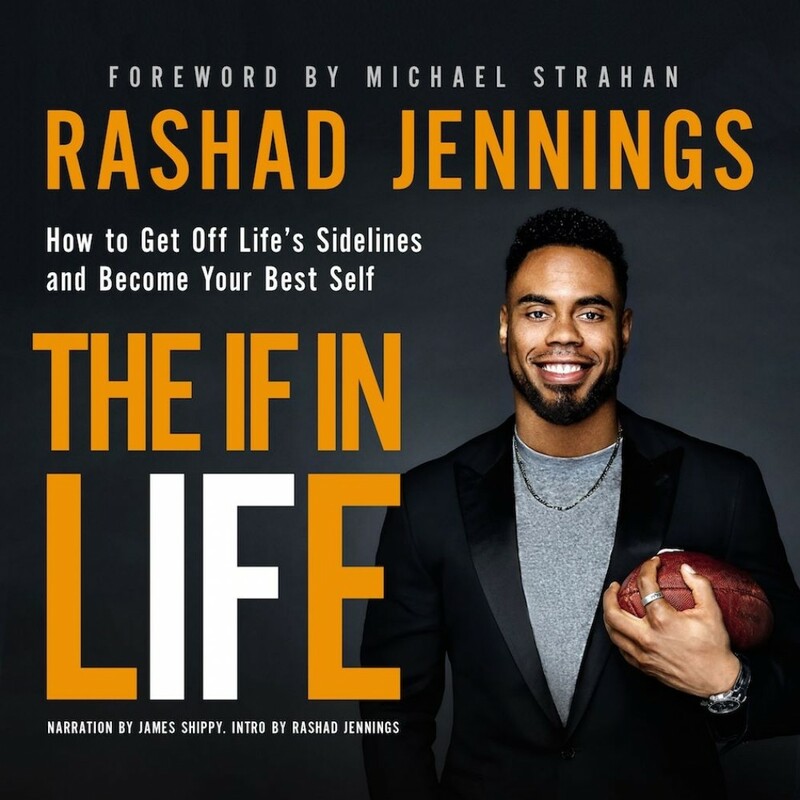 In his first ever book, The IF in Life: How to Get Off Life's Sidelines and Become Your Best Self, NFL running back and Dancing with the Stars champion Rashad Jennings shares his inspiring story and experiences, imparts practical advice, and encourages listeners to follow their dreams. As a kid, Rashad Jennings dreamed of one day playing in the NFL, but the odds were stacked against him - he was an overweight kid with glasses, asthma, and a 0.6 GPA. Today, Rashad is a record-setting running back who has played with the Jacksonville Jaguars, the Oakland Raiders, and the New York Giants. In The IF in Life, Rashad writes about the decisions that shaped his life. From overcoming injuries and setbacks to reaching goals and everything in between, Rashad's transparency about his journey will encourage listeners to hold on to faith in the midst of uncertainty and win big in life.